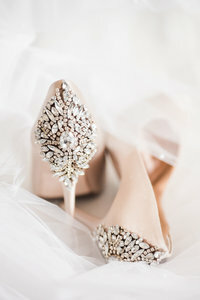 A husband and wife team based in Tucson, Arizona that specialize in wedding and portrait photography. We’re sweethearts who love a good story, whether it’s one we’re watching snuggled up on the couch or the story we’re telling of your wedding day! There are so many things we could say about this day and about this couple, but we’ll start by saying that Annie and Pablo are one of those couples that you can’t help but fall in love with. They are fun, genuine, and joyful, and if you spend any time with their family and friends, it becomes pretty clear that we aren’t the only ones that feel this way about the two of them. They cherish the people in their lives and it was such a special treat to see them so well loved by everyone on their wedding day. Annie and Pablo went to the same high school, but that wouldn’t be the story of how they met. It would be years later, after Annie attended college and returned home that life would bring them together. On that fateful day, Pablo would run into Annie at a Starbucks he frequented, where she often hung out to study for her bar exam. It would be then that Pablo would ask Annie out on a date. And that first date would soon turn into a second date (all in the same day!) The rest, as they say, is history. They decided on a wedding in Napa Valley, and we can honestly say that everything about their day was incredible. 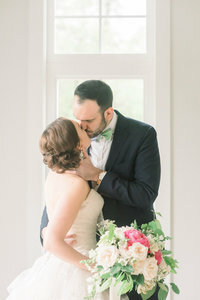 Annie wore a custom gown with a beautiful train, Pablo serenaded Annie during their first look, and the party didn’t stop once the reception was over. They also treated everyone to a private after party in downtown Napa afterwards. Annie and Pablo, we consider it such an honor to have been able to meet and work with you both! To know you is to love you. And we are so happy we got to be a part of your beautiful day! Help us in congratulating them both as newlyweds and enjoy scrolling through some of our favorites from their V. Sattui Winery wedding! You can also peek at Annie and Pablo’s engagement session at Horseshoe Bend and Antelope Canyon here! Lastly, a very special thank you to Akasha and Hector, our previous bride and groom, for introducing us and the vendor team who did a phenomenal job in making the day such a success! Welcome to the blog, a journal about our lives, work, and travels. We're a husband and wife team based in Tucson, Arizona that specialize in wedding and portrait photography. We’re sweethearts who love a good story, whether it’s one we’re watching snuggled up on the couch or the story we’re telling of your wedding day! Feel free to kick back, stay awhile, and drop us a line! We’d love to hear from you! Bryan & Anh of West End Photography are an Arizona-based husband and wife team of photographers and educators located in Tucson who serve all of Southern and Central Arizona including (but not limited to) Tucson, Phoenix, Scottsdale, Flagstaff, and Sedona. They are also available for international travel and destination weddings!